When you’re unwell or injured we want to help you get the right care, in the right place at the right time. Your family doctor knows you best and the care you need. Calls are answered 24 hours a day. Visits for under 13s are usually free. Wairarapa After Hours Service is based at Masterton Medical Centre. It provides urgent medical care to ALL Wairarapa and out of town patients. You do not have to be a patient of Masterton Medical to use this service. Note: The usual weekend fee is subsidised by the DHB for people who are enrolled with a Wairarapa Medical Centre and who are under 25 or have a Community Services Card. Remember to bring your CSC with you. Clinics are open to South Wairarapa residents requiring urgent appointments. Call Healthline 0800 611 116 for free medical advice 24 hours. Speak to a trained, registered nurse who can help you or tell you where to go for medical attention. If you can’t speak English there is an interpreter service available. 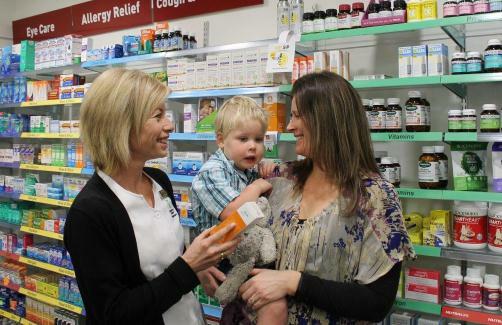 Ask a pharmacist - they're a good source of information. Keep ED for emergencies only. Dial 111 if you need an ambulance. When you arrive at ED, a nurse will assess your illness or injury and prioritise (triage) your condition. This triage system means that patients in most urgent need are given priority treatment with those whose need is less urgent often having to wait a long time. Publicly funded healthcare is free to those people who meet certain eligibility criteria. Ambulances are provided by Wellington Free Ambulance. An emergency dentist is available from 9am-1pm during weekends and public holidays.Phone Wairarapa Hospital on 0800 946 9800 for the contact details of the emergency dentist who is on call for that day.